Robin Knudsen, President of The Flow Consultancy, Ltd., has left her mark on countless brands and is known for the positive impact she has on businesses around the world. Prior to the launch of her company, Robin had over 20 years of corporate experience in senior level positions with national and international brands such as Canon, Unilever, Shiseido, and Nestlé. As Vice-President and Worldwide Account Director at the world’s largest international advertising agency, McCann Erickson, Robin was responsible for managing the strategic communications for one of Nestlé’s most notable global beverage brands. Her responsibilities included the management and enhancement of both traditional and virtual teams, across national and international boundaries. Robin has combined her corporate experience with numerous certifications in adult education, executive coaching and corporate leadership training. Since establishing her own business in 2009, Robin has coached and trained hundreds of professionals across a wide variety of industries inspiring and transforming individuals, teams and executives at companies such as Credit Suisse, AOL, Harrod’s, Conde Nast, DeBeers, Microsoft, L’Oreal and Deloitte. 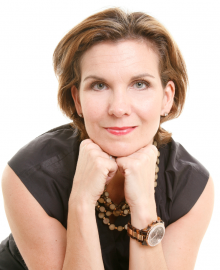 Robin is a certified Talent Dynamics Performance Consultant working with companies to create high performing teams. She has the unique distinction of being the only trainer licensed in the US to offer the full Talent Dynamics Flow Consultant Accreditation Programs.